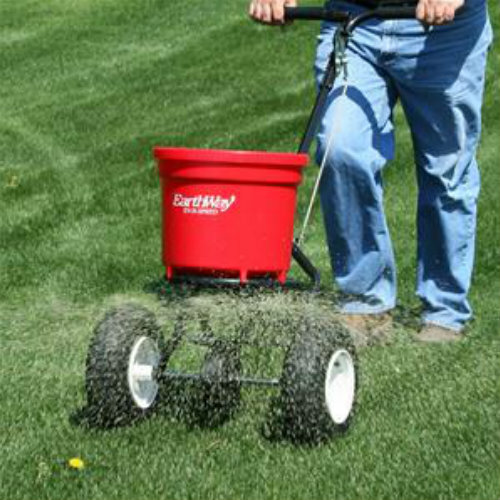 TifBlair Centipede Grass Seed - 5 lbs. 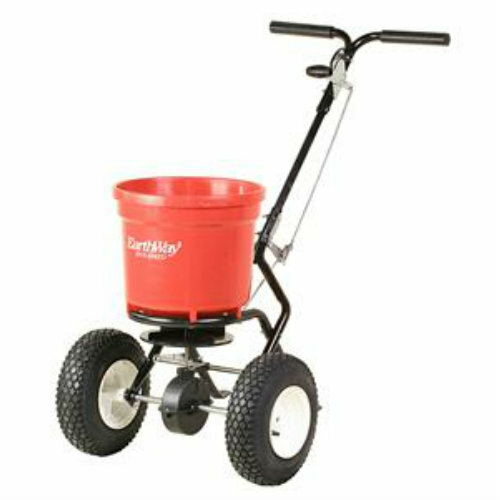 Earthway Commercial Broadcast Spreader is a very reliable compact push spreader with 50 lbs. or 23 kg. capacity. This poly hopper commercial spreader features EV-N-SPRED 3-hole drop shut-off system which guarantees uniform spread pattern and a feathered spreading edge to help apply products as accurately as possible. It has a 2-position handle which lets you adjust it according to preferred height and T-Speed lever to let you control it easily and provide comfort. 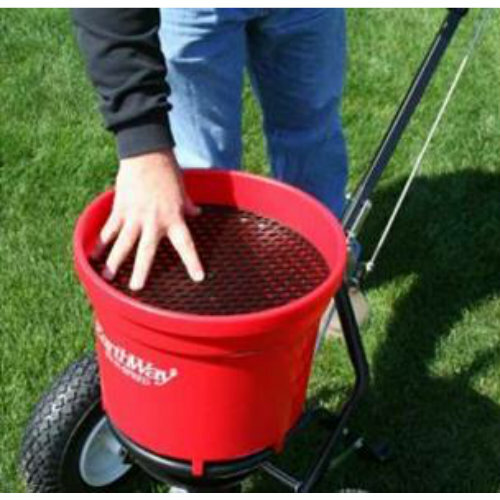 It also has a debris screen which helps prevent the shut-off from clogging by keeping clumps out. 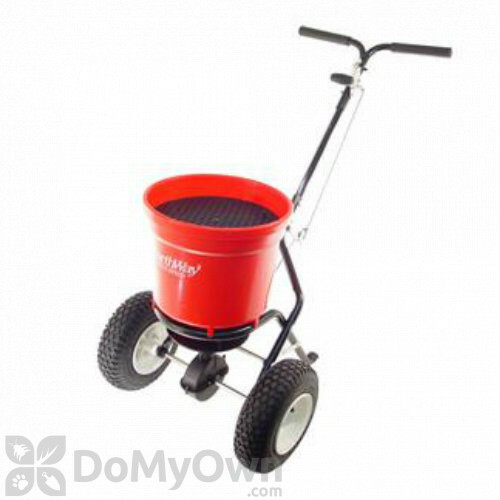 This spreader is perfect for small jobs or in places where storage is limited. 13 inch/33cm diameter stud type tires on rust-proof poly rims. Heavy-duty Epoxy Powder Coated "Diamond" chassis.